Comcast's Xfinity customers can buy a new service, Extreme 105, which can reach speeds of 105 megabits per second. (CNN) -- Blazing-fast internet is reaching more American homes, as long as customers are willing to pay a premium. Comcast, the largest U.S. internet-service provider, introduced a new home-broadband package Thursday, which can download files many times faster than most connections. Comcast's Xfinity customers in some major cities can now buy the new service, called Extreme 105. The name (which sounds a little like a radio station) comes from its ability to reach speeds of 105 megabits per second. At that speed, customers can download an album in three seconds or a high-definition movie in five minutes, Comcast said. Currently, a popular residential internet plan from Comcast transfers data at one-seventh the speed of Extreme 105. It costs $30 a month at first, versus $105 for the Extreme plan, an introductory price that also requires the customer to have a bundle of television and phone service from Comcast. Options from rival AT&T's U-verse DSL service range from a slower introductory plan to a Max Turbo package, which is about a quarter of the speed of Comcast's new service -- and less than half the price. 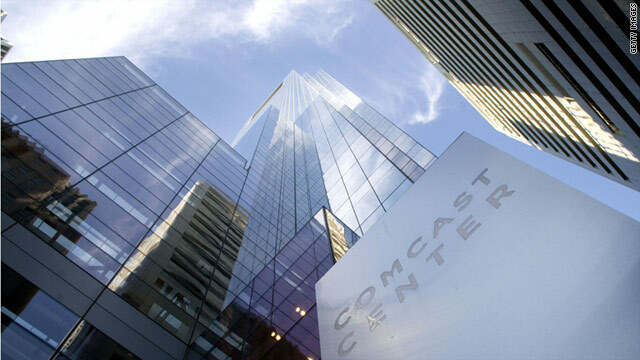 The cost could make Comcast's new home-broadband package impractical for most families. While it can download files faster than connections in most offices, Comcast encourages businesses to use separate packages. With a 10-megabit-per-second upload rate, the Extreme service sends information much more slowly than it receives it. Still, such initiatives for faster internet may please President Barack Obama, who has championed high-speed broadband access as crucial to future economic development. The National Broadband Plan calls for operators to roll out connections that reach at least 100 megabits to 100 million Americans by 2020. With Comcast's new service initially reaching 40 million homes, the U.S. government is much closer to its goal. Some of the launch cities include San Francisco; Seattle; Portland, Oregon; Denver; Chicago; Miami; Philadelphia; Salt Lake City; Indianapolis; Baltimore; and, yes, Washington. Federal regulators ended a lengthy approval process in January, ruling in favor of Comcast to acquire NBC Universal. Opponents said having the biggest cable and internet operator owning a media giant could result in anticompetitive practices. So the merger came with concessions. AT&T also is trying to appease regulators that may scrutinize its acquisition of T-Mobile USA by saying the merger would improve and speed up wireless internet quality.